Our mission is simple, our passion is contagious, and we are just getting started. FX Well strives to positively impact people’s lives by changing the corporate wellness arena. By combining our years of experience in the health and fitness space, with the latest health and wellness technologies, we are able to provide an all-encompassing program suited for a variety of audiences. The foundation of our population wellness strategy is based on SENSE: Sleep, Exercise, Nutrition, and Stress. ​We believe that when these four areas are in healthy balance, it allows you to truly Enjoy Life. FX Well is Under Armour's preferred partner for corporate wellness initiatives. Our wellness services are backed by the best performance gear and apparel brand in the world, in addition to their connected fitness suite of health and fitness tracking apps. 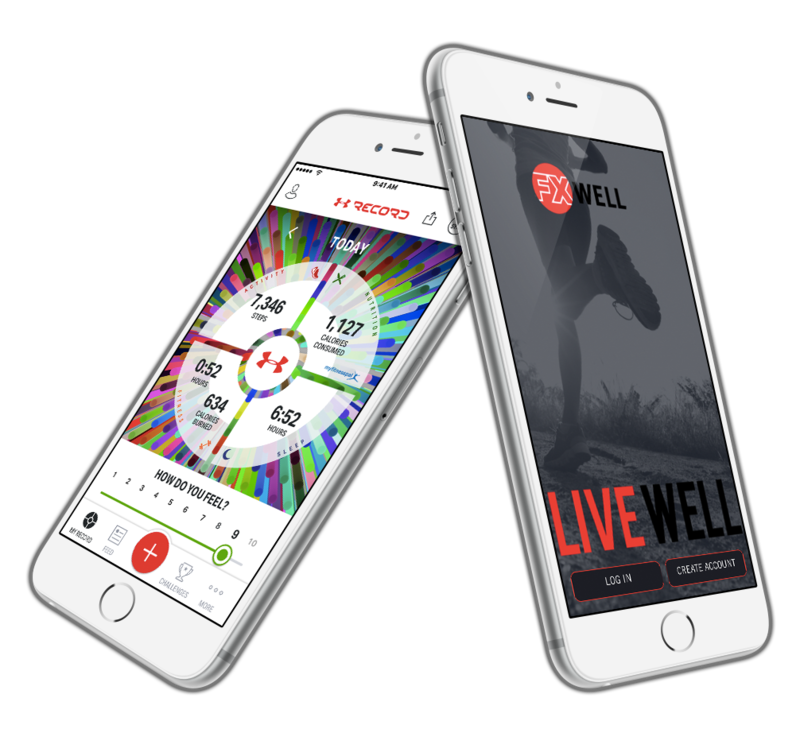 The Under Armour Connected Fitness suite of health and fitness apps sync seamlessly into the FX Well digital platform, creating one central place to house all personal health and fitness information. How do we make people’s lives better? We’ll show you. FX Well delivers three primary services categories to populations to ensure engagement in their health and wellness. This doesn’t mean that is all we are capable of. We are a constantly evolving company and are determined to help our partners achieve success. Our promise is that we will work with you to figure it out with a customized approach.